Louie and Ralphie Ratso have a genius idea: if they clear out the lot down the street, they can use all the junk lying around to build makeshift games for a Big City FunTime Arcade! With their friends to help, they’ll be able to recycle all the old abandoned stuff into whack-a-mouse, a high-striker, a fortune-telling booth, and more. Everyone says the house next to the lot is haunted, but if Louie just pretends it’s not there, maybe he can ignore the goose bumps he gets every time he looks at it. Ralphie’s head’s not exactly in the game, either, because of some rumors that have been swirling around school. 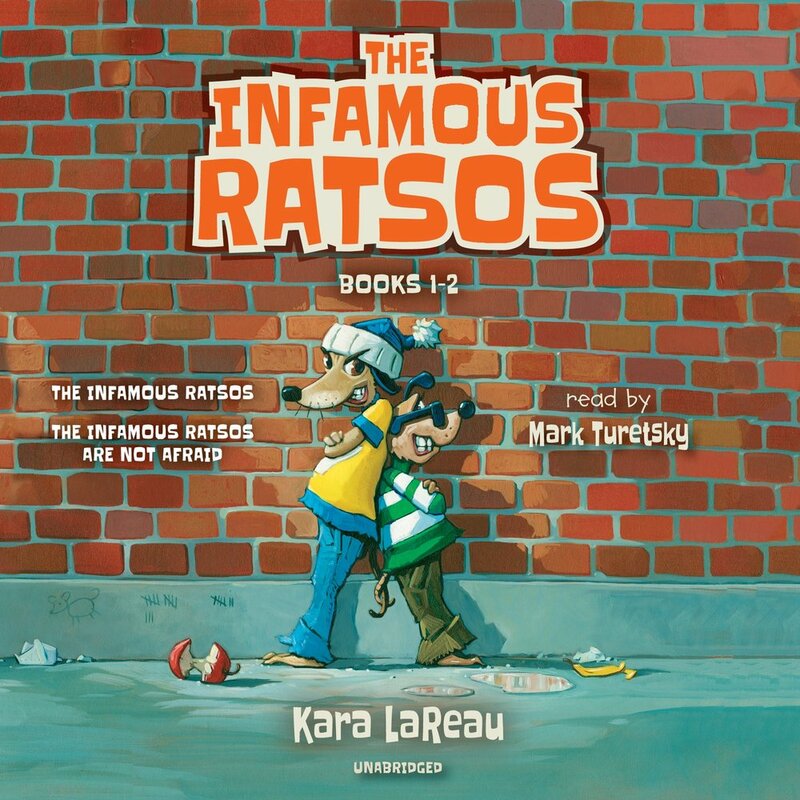 But they’re Ratsos, and like their dad, Big Lou, Ratsos aren’t afraid of anything — right? Kara LaReau and Matt Myers team up for a second surprisingly touching chapter book proving that sometimes the things you fear the most aren’t at all what you thought — and might be exactly what you need to feel better.